Dr. Willness is a passionate champion of community-engaged scholarship and teaching. 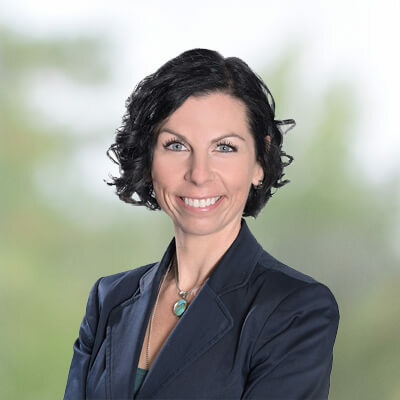 She has held two national research grants (SSHRC) for her research on how stakeholders—like job seekers, employees, or consumers—respond to organizations' environmental practices and community involvement (e.g., corporate social responsibility). She has published this work in top journals and book chapters, and presented to academic and professional audiences locally, nationally, and internationally. Chelsea has received University, college, and international teaching awards, including the USSU Teaching Excellence Award (2016), University of Saskatchewan’s Award for Distinction in Community-Engaged Teaching & Scholarship (2014), and the Provost’s College Award for Outstanding Teaching (2014). In 2012, she was awarded an Innovation in Teaching Award from the Academy of Management for her design and implementation of HR courses that integrate community-based experiential learning. Most recently, she was the recipient of the University’s highest honour for teaching, the Master Teacher Award (2017), recognizing her educational leadership in creating authentic learning communities. Among her teaching accomplishments, Chelsea created and implemented an impactful experiential course that pairs business students with non-profit boards and community mentors for an 8-month governance practicum. Chelsea has a keen interest in governance and leadership development toward capacity building and organizational sustainability, and she is actively involved in governance initiatives in the not-for-profit sector. Prior to completing her graduate degrees, Dr. Willness enjoyed a 10-year career with the tourism HR sector council where she was heavily involved in training and education for the industry. This work provided the basis for some of her other research interests, including employer branding, job search decision making, and strategic human resource management. She holds the national designation of certified Industry Trainer and is an experienced facilitator. She has consulted for a wide variety of organizations in areas such as corporate social responsibility, governance, strategy, and stakeholder engagement. Willness, C.R. (forthcoming, 2018). When CSR backfires: Understanding stakeholders’ negative responses to corporate social responsibility. In A. McWilliams, D.E. Rupp, D.S. Siegel, G. Stahl, & D.A. Waldman, Eds. The Oxford Handbook of Corporate Social Responsibility: Psychological and Organizational Perspectives. New York: Oxford University Press. Willness, C.R. (forthcoming, 2018). Community-based partnership for capacity building: Stakeholder engagement through governance and leadership. In J. Allen & R. Reiter-Palmon, Eds. The Cambridge Handbook of Organizational Community Engagement and Outreach. Cambridge University Press. Bruni-Bossio, V., Sheehan, N., & Willness, C.R. (2018). Circle mapping your growth strategy. Business Horizons. Jones, D.A., Willness, C.R., & Glavas, A. (2017). When corporate social responsibility (CSR) meets organizational psychology: New frontiers in micro-CSR research, and fulfilling a quid pro quo through multilevel insights. Frontiers in Psychology. Willness, C.R., & Bruni-Bossio, V. (2017). The curriculum innovation canvas: A design thinking framework for the engaged educational entrepreneur. Forthcoming at Journal of Higher Education Outreach & Engagement. Schmidt, J. A., Pohler, D. M., & Willness, C. R. (Forthcoming). The effects of strategic HR system differentiation on firm performance and employee outcomes. Human Resource Management. Jones, D. A., Willness, C. R., & Heller, K. W. (2016). Illuminating the signals job seekers receive from an employer’s community involvement and environmental sustainability practices: Insights into why most job seekers are attracted, others are indifferent, and a few are repelled. Frontiers in Psychology, 7, Article 426, 1-16. doi: 10.3389/fpsyg.2016.00426. Bruni-Bossio, V., & Willness, C.R. (2016). The “Kobayashi-Maru” meeting: High fidelity experiential learning. Journal of Management Education. Online ahead of print: doi: 10.1177/1052562916644284. Schmidt, J.A., Willness, C.R., Jones, D.A., & Bourdage, J. (2016). Human resource management practices and voluntary turnover: A study of internal workforce and external labor market contingencies. The International Journal of Human Resource Management. http://dx.doi.org/10.1080/09585192.2016.1165275. Jones, D. A., Willness, C. R., & Madey, S. (2014). Why are job seekers attracted by corporate social performance? Experimental and field tests of three signal-based mechanisms. Academy of Management Journal, 57, 383-404. Pohler, D. M., & Willness, C. R. (2014). Balancing interests in the search for occupational legitimacy: The HR professionalization project in Canada. Human Resource Management, DOI: 10.1002/hrm.21579. Caird, J. K., Johnston, K., Willness, C. R., Asbridge, M., & Steel, P. (2014). A meta-analysis of the effects of texting on driving. Accident Analysis & Prevention, 311-318. DOI: 10.1016/j.aap.2014.06.005. Caird, J. K., Johnston, K., Willness, C. R., & Asbridge, M. (2014). The use of meta-analysis or research synthesis to combine driving simulation or naturalistic study results on driver distraction. Journal of Safety Research, 49, 91-96. Willness, C. R., & Jones, D. A. (2013). Corporate environmental sustainability and employee recruitment: Leveraging “green” business practices to attract high performing and loyal employees. In A. Huffman & S. Klein (Eds. ), Greening Organizations: Driving Change with I/O Psychology (pp. 231-250). Psychology Press/Routledge. Jones, D. A., & Willness, C. R. (2013). Corporate social responsibility, organizational reputation, and recruitment. In K. Y. T. Yu & D. Cable (Eds. ), The Oxford Handbook of Recruitment (pp. 298-313). New York, NY: Oxford University Press. Jones, D. A., Willness, C. R., & Madey, S. (2010). Why are job seekers attracted to socially responsible companies? Testing underlying mechanisms. In L. A. Toombs (Ed. ), Best paper proceedings of the 70th Annual Meeting of the Academy of Management (CD), ISSN 1543-8643. White, K., & Willness, C. R. (2009). Consumer reactions to the decrease-usage message: The role of elaborative processing. Journal of Consumer Psychology, 19, 73-87. Jones, D. A., Willness, C. R., & MacNeil, S. (2009). Corporate social responsibility and recruitment: Person-organization fit and signaling mechanisms. In G. T. Solomon (Ed. ), Best paper proceedings of the 69th annual meeting of the Academy of Management (CD), ISSN 1543-8643. Willness, C. R., White, K., & Agarwal, J. (2009). An expanded model of consumer-company identification experiences. In M.C. Campbell, J. Inman, and R. Pieters (Eds. ), Advances in Consumer Research, 37: Association for Consumer Research. Caird, J. K., Willness, C. R., Steel, P., & Scialfa, C. (2008). A meta-analysis of cell phones on driver performance. Accident Analysis and Prevention, 40, 1282-1293. Kline, T. J. B., Willness, C. R., & Ghali, W. A. (2008). Predicting patient complaints in hospital settings. Quality and Safety in Health Care, 17, 346-350. Kline, T. J. B., Willness, C. R., & Ghali, W. A. (2008). Determinants of adverse events in hospitals - the potential role of patient safety culture. Journal for Healthcare Quality, 30, 11-27. Selected as a Continuing Education article for professionals in healthcare quality. Willness, C. R., Steel, P., & Lee, K. (2007). A meta-analysis of the antecedents and consequences of workplace sexual harassment. Personnel Psychology, 60, 127-162. Chirkov, V. I., Ryan, R. M., & Willness, C. R. (2005). Cultural context and psychological needs in Canada and Brazil: Testing a Self-determination approach to internalization of cultural practices, identity, and well-being. Journal of Cross-Cultural Psychology, 36, 423-443. Glavas, A., Jones, D. A., & Willness C. R. (2017, September). Co-Chairs (listed alphabetically) of the Micro-level CSR Track at the 2017 Corporate Responsibility Research Conference (CRRC) hosted by Kedge Business School in association with the Sustainability Research Institute, University of Leeds (Conference theme: Challenges in Diversity, Accountability and Sustainability). Seville, Spain. Jones, D.A., Glavas, A., & Willness, C.R. (2016, August). An invitation to break down silos: What macro and micro CSR scholars can learn from each other. 76th Annual Meeting of the Academy of Management, Anaheim, CA. Jones, D.A., & Willness, C.R. (2016, July). Environmental sustainability practices and human resource management: A theoretical model of pre- and post-hire mechanisms. 32nd Colloquium of the European Group of Organization Studies (EGOS), Naples, IT. Bruni-Bossio, V., & Willness, C.R. (2016, June). Mapping OBTC’s competitive advantage: Positioning for the future. 43rd Annual OBTC Teaching Conference for Management Educators, North Canton, OH. Jones, D. A., Willness, C. R., & Heller, K. W. (2015, September). Unpacking the signals job seekers receive from an employer’s environmental and social practices. Corporate Responsibility Research Conference (CRRC), Marseille, France. Willness, C.R., & Bruni-Bossio, V. (2015, August). A stakeholder governance framework for curriculum development. In C.R. Willness (Chair), Implementation of community-based experiential learning: Challenges, opportunities, and insights. 75th Annual Meeting of the Academy of Management, Vancouver. Willness, C.R., & Jones, D.A. (2015, August). Corporate social responsibility can attract job seekers… but can it also repel some of them? In K. Y. T. Yu (Chair), Employer images and recruitment: Novel approaches for researchers and practitioners. 75th Annual Meeting of the Academy of Management, Vancouver, BC. Willness, C.R., & Bruni-Bossio, V. (2015, June). Learning governance: Community-based partnership for capacity building. 41st Annual OBTC Teaching Conference for Management Educators, La Verne, CA. George, C. & Willness, C.R. (2015, May). Promoting community empowerment: How Arnstein's Ladder can enhance community-engaged teaching and learning. C2UExpo ‘Citizen Solutions. Better World’ conference, Ottawa, ON. Jones, D. A., & Willness, C. R. (2014, August). Research on corporate social performance and employee recruitment: Where are we now and where should we go from here? In K. Y. T. Yu & D. Cable (Co-chairs), Strategizing and planning recruitment: New issues for organizational decision makers. Annual Meeting of the Academy of Management, Philadelphia, PA.
Willness, C.R., & Jones, D.A. (2014, July). Finding order in construct chaos: Clarifying and differentiating the ways stakeholders' perceive and react to corporate social responsibility. 28th Annual International Congress of Applied Psychology, Paris, France. Willness, C.R., & Jones, D.A. (2014, July). Cynicism toward corporate social responsibility: Testing a measure of a proposed construct to understand stakeholders' skeptical reactions to CSR claims. 28th Annual International Congress of Applied Psychology, Paris, France. Jones, D.A., Heller, K.W., & Willness, C.R. (2014, July). It’s clear they like it but it’s not clear why: Illuminating the signals job seekers receive from an employer’s community involvement and environmental sustainability. 28th Annual International Congress of Applied Psychology, Paris, France. Willness, C.R., & Bruni-Bossio, V. (2014, June). Creating and leveraging an advisory team to develop and implement an advanced experiential learning course. OBTC Teaching Conference for Management Educators, Nashville, TN. Willness, C.R. (2014, May). Advancing corporate social responsibility theory through I-O psychology (Chair). Annual Meeting of the Society for Industrial and Organizational Psychology, Oahu, HI. Willness, C.R., Jones, D.A., & Schmidt, J.S. (2014, May). How corporate social performance creates proud employees and happy customers. Annual Meeting of the Society for Industrial and Organizational Psychology, Oahu, HI. Jones, D,A., & Willness, C.R. (2014, May). Environmental management practices: Pre- and post-hire effects, mechanisms, and moderators. In C. R. Willness (Chair), Advancing corporate social responsibility theory through I-O psychology. Annual Meeting of the Society for Industrial and Organizational Psychology, Oahu, HI. Schmidt, J.S., Jones, D.A., Willness, C.R., & Bourdage, J. (2014, May). Bonus eligibility inequity and turnover among part-time and full-time employees. Annual Meeting of the Society for Industrial and Organizational Psychology, Oahu, HI. Zerr, K.R., & Willness, C.R. (2014, May). Exploring how employees develop perceptions of their organization’s environmental practices. In D. B. Ganegoda & D. A. Jones (Co-chairs), Understanding employee responses to CSR: Explanatory mechanisms and boundary conditions. Annual Meeting of the Society for Industrial and Organizational Psychology, Oahu, HI. Locke, J.M., & Willness, C.R. (2013, August). Organizations' sustainability reports: A critical analysis and framework for (better) best practices. 73rd Annual Meeting of the Academy of Management, Orlando, FL. Willness, C.R. (2013, June). Community engaged experiential learning in HR. Innovation in HRM Teaching Conference, Academy of Management HR Division, Chicago, IL. Schmidt, J. A., Willness, C. R., Jones, D. A., & Bourdage, J. S. (2013, April). The effects of strategic HRM and workforce characteristics on turnover. Annual Conference of the Society for Industrial and Organizational Psychology (SIOP), Houston, TX. Pohler, D. M., & Willness, C. R. (2012, August). Balancing conflicting roles in the search for legitimacy: The professionalization of HRM in Canada. 72nd Annual Meeting of the Academy of Management, Boston, MA. Jones, D. A., & Willness, C. R. (2012, July). Using the why to understand the who: What kinds of job seekers are attracted to socially responsible employers? 30th International Congress of Psychology, Cape Town, South Africa. Willness, C. R., & Jones, D. A. (2012, July). Says who? Information source credibility and job seekers’ perceptions of Corporate Social Responsibility. 30th International Congress of Psychology, Cape Town, South Africa. Zerr, K., Willness, C. R., & Jones, D. A. (2012, July). How awareness, greenwashing, and public opinion influence employees’ concept of their company’s “green” practices. 30th International Congress of Psychology, Cape Town, South Africa. Willness, C. R. (2012, June). Incorporating community sustainability into higher education through Service-Learning: Two examples in practice. Organizational Behaviour Teaching Conference, Niagara, ON. Willness, C. R., & Drover, D. (2012, May). Both sides now: Community-University partnerships come to life. Canadian Alliance for Community Service-Learning “Impacts of Community Engagement” conference, University of Saskatchewan, SK. Jones, D. A., & Willness, C.R. (2012, April). Using green business practices to recruit employees: What happens post-hire? In S. Klein (Chair), Spotlight on Green: Partnering with Organizations to Measure Environmental Benefits. 27th Annual Conference of the Society for Industrial and Organizational Psychology (SIOP), San Diego, CA. Willness, C.R. (2011, June). Growing our capacity for Service Learning and community engagement in Canada. 31st Annual Conference of the Society for Teaching and Learning in Higher Education, Saskatoon, SK. Willness, C.R. (2011, April). The compelling business case for Corporate Social Responsibility. Symposium Discussant (Dr. Sara Weiner, Kenexa, Chair). 26th Annual Conference of the Society for Industrial & Organizational Psychology, Chicago, IL. Willness, C.R., Chapman, D.S., & Jones, D.A. (2011, April). Green business practices: Doing good and looking good. 26th Annual Conference of the Society for Industrial & Organizational Psychology, Chicago, IL. Jones, D.A., & Willness, C.R. (2011, April). Attracting talent through "green" business practices: A theoretical model. 26th Annual Conference of the Society for Industrial & Organizational Psychology, Chicago, IL. Jones, D.A., Willness, C.R., & Madey, S. (2010, August). Why are job seekers attracted to socially responsible companies? Testing underlying mechanisms. 70th Annual Meeting of the Academy of Management, Montreal, QC. Willness, C.R., & Jones, D.A. (2010, April). Making green by being green: How environmentally-friendly business practices affect recruitment. In the "Green matters: Corporate social responsibility in recruitment and selection" symposium (Chair: S. Klein; Discussant: Paul Muchinsky). 25th Annual Conference of the Society for Industrial and Organizational Psychology (SIOP), Atlanta, GA.
Jones, D.A., Willness, C.R., & MacNeil, S. (2009, August). Corporate social responsibility and recruitment: Person-organization fit and signaling mechanisms. 69th Annual Meeting of the Academy of Management, Chicago, IL. Willness, C.R., Jones, D.A., & Chapman, D.S. (2009, April). Attracting applicants through CSR: A real world test. 24th Annual Conference of the Society for Industrial and Organizational Psychology (SIOP), New Orleans, LA. Willness, C.R., & White, K. (2007, February). Consumer Perceptions of Corporate Social Responsibility: The Case of Moderation Marketing. Society for Consumer Psychology Conference. Las Vegas, NV. Corporate Social Responsibility: Understanding the Triple Bottom Line. Member of a North American expert panel on CSR for a webinar co-sponsored by OrgVitality (consulting firm), Purdue University, and the Society for Industrial & Organizational Psychology (SIOP), February 2017. Women on Boards. Invited talk on diversity and gender in board governance for Women Lawyer’s Forum, Saskatoon, SK, February 2017. When CSR Backfires. Invited talk at University of Western Ontario, London, ON, June 2016. Willness, C.R. (2016, May). Current practices, frameworks, and recent research on community-based experiential learning. Invited Keynote Address at the national conference of the Canadian Alliance for Community Service Learning: “Community Engagement: Impact for Sustainability,” Calgary, AB. Willness, C. R. (2016, April). The dark side of CSR: Potential backfire effects. Invited presentation at the “CSR Summit: The Micro-Processes of Social Responsibility in Organizations: A Bottom-Up Perspective,” funded by the Society for Industrial and Organizational Psychology and The National Science Foundation (NSF). Anaheim, CA. Willness, C.R. (2016, March). Governance and succession planning. Nonprofit seminar series presented by KPMG and the United Way of Saskatoon & Area, March 15, 2016 (also attended by 2015-2016 governance students). George, C., & Willness, C.R. (2016, March). How environmental protection policies have affected the competitiveness and innovation of Saskatchewan mining firms. Economics & Environmental Policy Research Network research symposium, Ottawa, ON. Glavas, A., Jones, D. A., & Willness C. R. (2015, September). Co-Chairs (listed alphabetically) of the Micro-level CSR track at the 2015 Corporate Responsibility Research Conference (CRRC) hosted by Kedge Business School in association with the Sustainability Research Institute, University of Leeds (Conference theme: Corporate Responsibility at the Crossroads: Creative Destruction or Creating Destruction?). Marseille, France. Willness, C.R. (2015, April). Winning the War for Talent: How to Leverage CSR and Reputation to Recruit the Best. Webinar for Conference Board of Canada, Ottawa, ON. Willness, C. R. (2014, August). Practice-focused HR teaching: Advice and innovative approaches (Chair). Professional Development Workshop (PDW) presented at the 73rd Annual Meeting of the Academy of Management, Philadelphia, PA.
Willness, C. R. (2014, August). Community-based experiential learning. In C. R. Willness (Chair), Practice-focused HR teaching: Advice and innovative approaches (Chair). Professional Development Workshop (PDW) presented at the 73rd Annual Meeting of the Academy of Management, Philadelphia, PA.
Willness, C.R. (2013, December). Overview of the Governance & Leadership Development Practicum. Presentation for Community-Engaged Scholar group, Station 20 West and University of Saskatchewan. Willness, C.R. (2013). Community Service-Learning. Session Chair at Innovation in HRM Teaching Conference, Academy of Management, Chicago, IL. Willness, C.R. (2013). Community-engaged experiential learning in HR. Presented at Innovation in HRM Teaching Conference, Academy of Management HR Division, Chicago, IL. Willness, C.R. (2012). Innovations in HR Teaching: The Application of Service Learning to HR Courses. Professional Development Workshop delivered to the Academy of Management as HR Division Innovative Teaching Award Winner, Boston, MA. Willness, C.R. (2012). Building Capacity Together: The Power of Community Partnerships. In symposium: Co-operative roles in regional and resource development: Co-operating for resilience and sustainable regional development. ‘Co-operating to Build a Better West’ Conference, hosted by the Centre for the Study of Co-operatives, University of Saskatchewan, Saskatoon. Willness, C.R. (2011, March). Why is Corporate Social Responsibility attractive to stakeholders? Distinguished Speaker/Visiting Scholar, Asper School of Business, University of Manitoba. Willness, C.R. (2010). First impressions: Recruitment begins before recruiting starts. Presentation at HOST Saskatchewan Conference and leader of "First Impressions: Employers of Choice" expert panel. Recognized by Canadian Academy of Travel & Tourism. Saskatoon. Willness, C.R. (2010). Corporate Social Responsibility and job applicant attraction. Presentation at Philosopher's Café, invited member of speaker's panel. Pelham, ON. Willness, C.R. (2008). Organizational image and recruitment in the current labour shortage. Presentation at HOST Saskatchewan Conference and invited member of "Employers of Choice" expert panel. Recognized by Canadian Academy of Travel & Tourism. Saskatoon, SK. Willness, C.R. (2011). Five ways to increase employee engagement. In “HR Matters” publication and website, Tourism Saskatchewan / Sask Tourism Education Council. Willness, C.R. (2010). The Business Case for Human Sustainability. Financial Post Executive online. Willness, C.R. (2010). Truth, Lies, and Email. Financial Post/National Post. Willness, C.R. (2010). The "Recession Era" War for Talent. Financial Post Executive (HR) online. Willness, C.R. (2010). Your Firm's CSR may Matter More than what you Pay. Financial Post Executive (HR) online. Willness, C.R. (2010). CSR: Cynicism vs. Authenticity? Financial Post Executive (HR) online. Willness, C.R. (2010, September). Social Responsibility and Ethics: It's Just Good Business. In "HR Matters" publication and website, Tourism Saskatchewan (STEC). Willness, C.R. (2010, January). Recruitment Begins before Recruiting Starts: New Research Highlights the Importance of Pre-Employment Interactions. In "HR Matters" publication and website, Tourism Saskatchewan (STEC). Willness, C.R. & White, K. (2009). Humanitarians or Hypocrites? National Post/Financial Post.